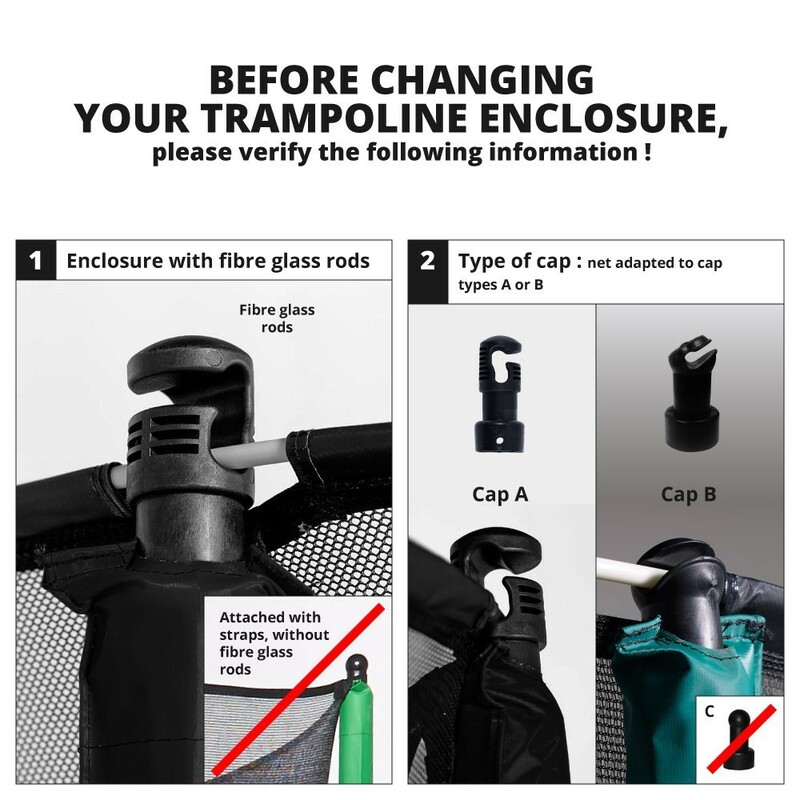 If the safety enclosure of your oval trampoline is starting to show signs of age but the net posts are still in good shape, we recommend that you replace just the net to maintain maximal safety conditions for the trampoline users. 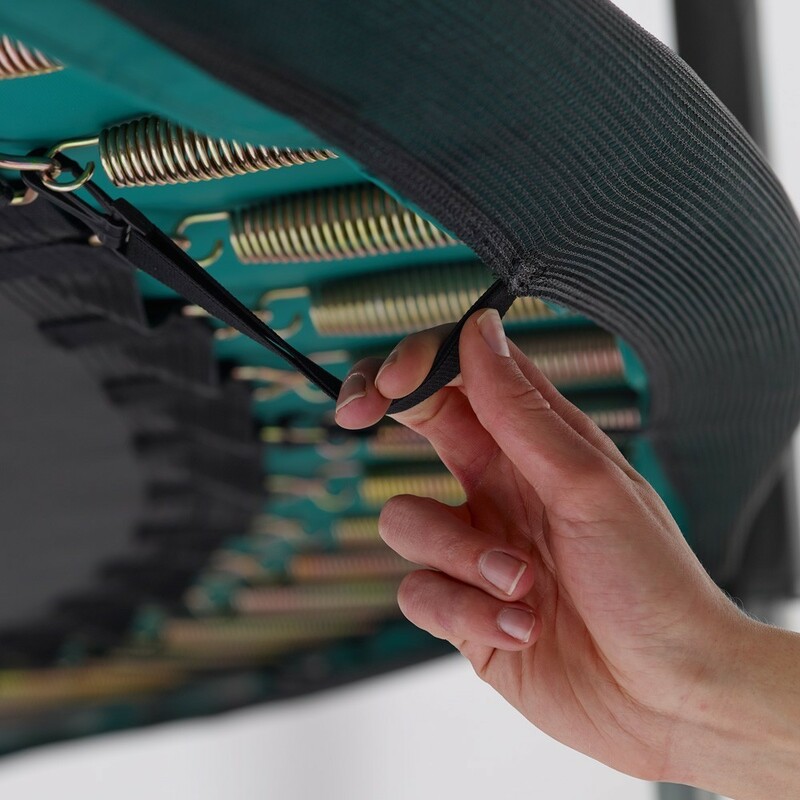 This spare part is designed for Ovalie 490 trampolines. - This safety net is designed for the France Trampoline Ovalie 490 trampoline but may be compatible with another brand if it has the same technical characteristics. It must measure 4.80 m x 2.84 m, have 4 W-shaped legs, and 8 net posts measuring 38 mm in diameter. The net posts must be equipped with fixations at the top capable of holding up fiberglass rods. If you old net is held up by straps, then this net is not compatible with your installation. - The net is made of extremely resistant, 100g/m² polyester; the mesh is tightly-braided to prevent small children from getting their fingers caught in it. Measuring 2.75 m high, it is designed to protect the user performing jumps and figures from falling over the top of the safety net. 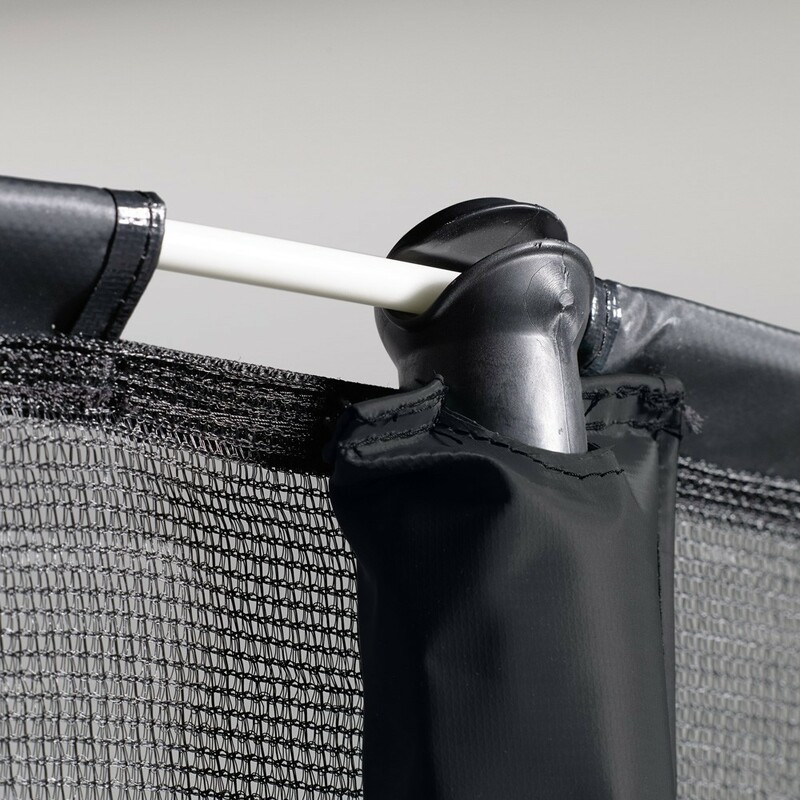 - The net entrance is made of two overlapping panels, doubling the thickness of the net, and opens and closes with a velcro strip and snap hooks. Thus, the access to the trampoline is secure and won't accidentally open while in use. - The net is attached underneath the frame pad to the springs of the trampoline. 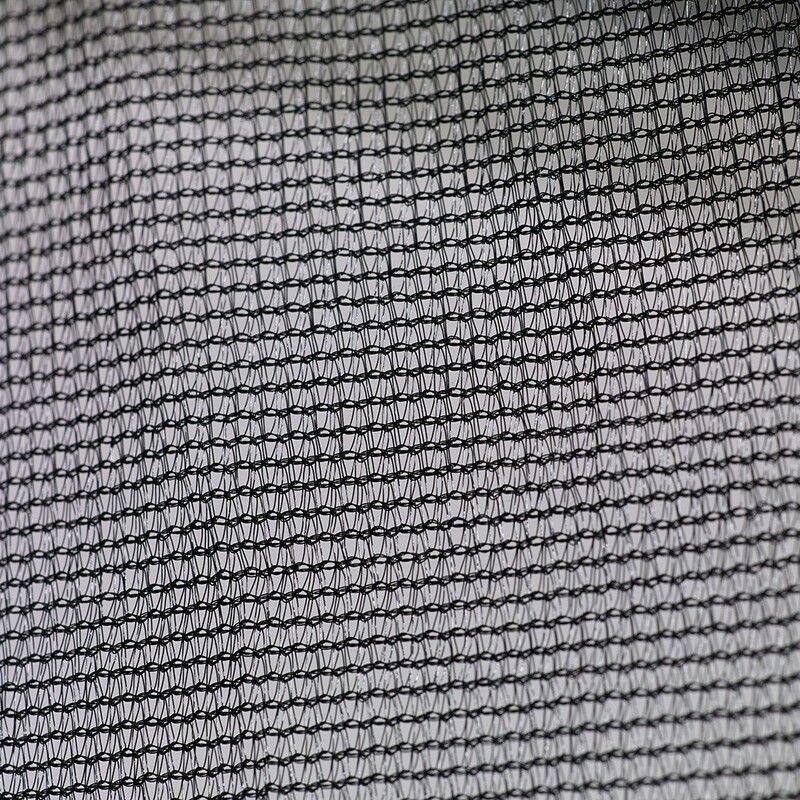 - This textile net is treated against UV rays for increased durability. This safety net for oval trampolines is sold separately. 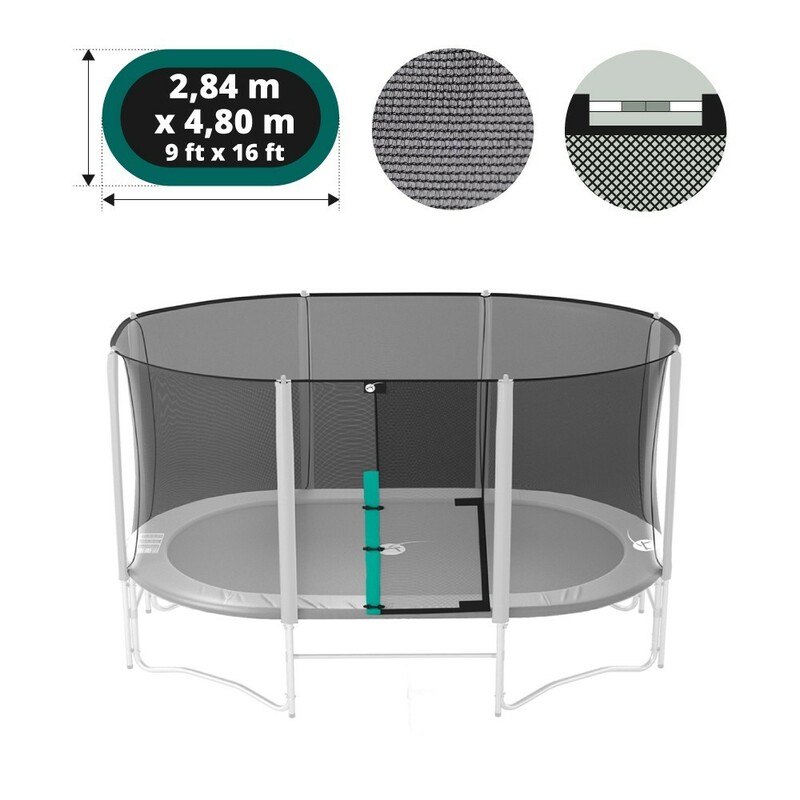 The fiberglass rods, sleeves, and fixations are not sold with this trampoline spare part.